Like any international move, Moving from Italy to France requires a little preparation. A move to a new location can be a daunting experience. So it’s always useful to have a little information about your destination upfront. Intlmovers is a great way of finding international moving companies that can help you with your international Moving from Italy to France. Using Intlmovers is one of the most convenient methods of finding the best mover to meet your needs. You can save both time and money. Intlmovers allows you to compare quotes quickly and easily from up to six international moving companies at once! The movers have years of experience with Moving from Italy to France. 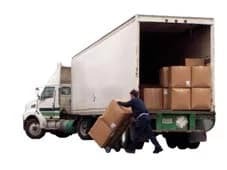 They have contacts in France which can make your removal cheaper. France, officially the French Republic, is a country whose territory consists of metropolitan France in western Europe, as well as several overseas regions and territories.The overseas territories include French Guiana in South America and several islands in the Atlantic, Pacific and Indian oceans. The country’s 18 integral regions (5 of which are situated overseas) span a combined area of 643,801 square kilometres (248,573 sq mi) which, has a total population of almost 67 million people. France is a unitary semi-presidential republic with its capital in Paris, the country’s largest city and main cultural and commercial centre. Other major urban centres include Marseille, Lyon, Lille, Nice, Toulouse and Bordeaux. For an International moving from Italy to France you don´t need an Visa. In France, often the landlord is directly involved in the brokerage. You have to consider that pre-contract is already tying, and in most cases it is highly recommended that you first consult a notary. If you plan to move to Paris, you should be aware of high rental costs. Paris is generally considered to have one of the higher levels of rent than many other places. Different to most other countries, a tenant, who is in arrears with his rent, can not be evicted easily. In France, people who are in a financial distress are protected statutory. Thus the landlord will usually protect himself with a rent loss insurance. You can request it when you are able to prove that you are employed perpetual and not under notice. The international movers partnering with Intlmovers are all highly reputable professionals. They are industry specialists from the world of shipping and logistics. Their experienced skills have a proven customer service record in the industry. They have expertise in both personal and business shipping. Enjoy a stress free move, and relax knowing that your shipment is being well managed throughout your international move. Take advantage of the extensive levels of international moving company professional experience. Enjoy Moving from Italy to France! Receive up to six international moving quotes with one single request on Intlmovers. Make your decision making process so much easier! Even though you can receive up to six quote responses, remember that you are under no obligation to accept any of them. Take your time, and evaluate the responses that you have. Compare services, compare costs, and make sure that you are happy with the information that has been provided to you. Make your selection from there for your Moving from Italy to France. When you use Intlmovers to compare quotes, it’s both cost free and obligation free!